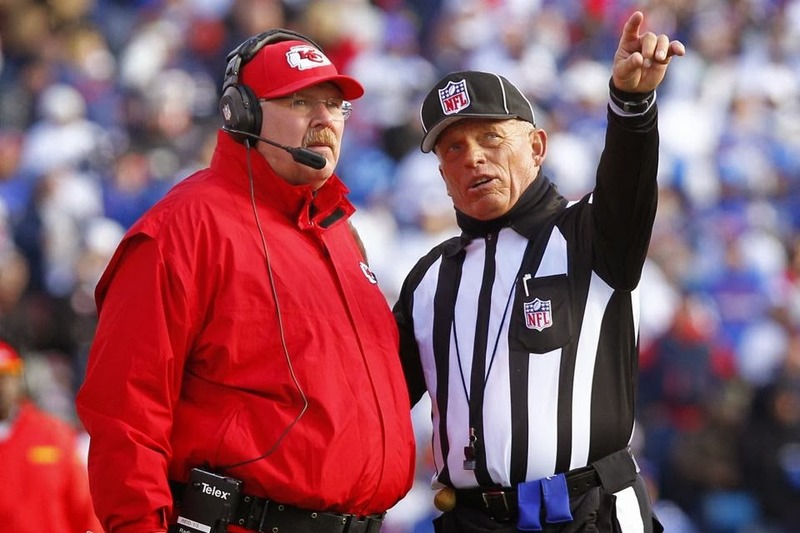 Without question, the Kansas City Chiefs under Andy Reid have been the surprise of the 2013 NFL season as nobody expected them to be sitting here at 9-0. But now they are in for by far their toughest test of the season as they head to the Queen City of the West to take on the high-powered attack of the Broncos. Can the Chiefs keep their undefeated bid going or will the Broncos prove themselves to be the top club in the AFC West? Here are my predictions for week eleven. So the Titans just lost Jake Locker for the season AND gave the Jaguars their first win of 2013. Now Ryan Fitzpatrick did not look awful in relief and almost led the club to the victory, but we have seen enough out of him to now that he cannot carry a team and yet with mediocre Chris Johnson has been running the ball, the offense will be in trouble. And I cannot explain how in the world the Rams demolished the Colts in Indianapolis on Sunday. I'm just going to classify that as a fluke for Indy. E.J. Manuel came back for the Billikens on Sunday as to say it did not go to plan may be an understatement as he struggled and the team fell flat against a Steelers team bereft with the reports that Ben Roethlisberger may want to be dealt. Now it is the week for the Jets to fall to remain consistent with their week-to-week inconsistency, but with how mediocre Buffalo looks, I think the bizarre quest for the playoffs for New York will continue. Well the Jaguars are not going to go winless after they cranked out a win in Nashville. How did they do it? They forced Tennessee to make four turnovers, turning into 17 points for the road team and while Chad Henne did not look very good and they continued to struggle to run the ball, they did just enough to pull out a W. However, they still did not look great against the pass and against Carson Palmer, who was pretty solid last week against Houston, that could be a problem. Plus, I think Jacksonville's win was a fluke. Arizona is my Lock of the Week. You at least have to give the Bengals a little credit for rebounding from a 17 point halftime deficit to press overtime, even after they were given an extraordinary gift by the Ravens royally bungling the Hail Mary pass defense at the end of regulation. Of course, they did end up losing, so there's that. I do think they are clearly the superior team in the battle for Ohio even after they fell in the first matchup, so I think they'll get their rebound at home. I would not consider the Falcons to be terrible, they have just about given up on 2013. I would consider the Buccaneers to be terrible, but they did get their first victory on Monday night. Therefore, this is a tough pick for me to make because I could go either way. I lean towards the Falcons because while they cannot stop anybody defensively, they at least have Matt Ryan, which is more than what Tampa Bay has right now. Chicago brought back Jay Cutler earlier than expected but after spraining his ankle in the loss to Detroit, it is back to Josh McCown under center. That is not necessarily a bad thing considering how well he played against the Packers a week ago. Meanwhile for the Ravens, in a truly ugly affair against the division leading Bengals, they were able to end their three-game losing streak even after blowing a 17 point halftime lead by giving up a Hail Mary at the horn to force overtime. It should be a physical affair but I like Baltimore to continue to get their season back on track. Yeah the NFC East is pretty awful but the Eagles are looking pretty good offensively now that Nick Foles has taken the reins and has looked great, throwing 16 touchdowns to zero interceptions on the season. He has taken Chip Kelly's offense to a new level as has the excellent running of LeSean McCoy, who has been great all season. Washington's defense is still a complete mess, making them vulnerable for a sweep by Philadelphia. It must be quite unfortunate to be a Texans fan. After all, you have a top ten offense statistically, the top defense statistically, and yet you have lost seven in a row even after playing generally well the last three weeks with Abilene legend Case Keenum under center, who has looked very good in his own right. They are bound for a victory in my opinion and they should get one this week against the Raiders, who have lost two in a row. I'm not sure how many people thought that the Lions would be in the driver's seat in the NFC North at this point in the 2013 campaign but alas, here they are. Their defense has not been great but it has not needed to be thanks to their strong offense, led by the potent passing game with Calvin Johnson and Matt Stafford. I do not see them having too much trouble with the Steelers, who are a mess right now even after defeating the Bills, especially as it appears that Ben Roethlisberger wants out of Dodge. The falling apart of the Dolphins continued on Monday night as they gave the Buccaneers their first win of the year in what was one of the worst games of the season thus far. Now having lost five of six, as well as having the Jonathan Martin-Richie Incognito situation hover around the heads of coach Joe Philbin and general manager Jeff Ireland, I don't see an easy out for this team. Look for the Chargers to go into Miami Gardens and keep their playoff hopes alive with a key win. It took them a while to get going on Thursday night but the Vikings put together a strong second half to defeat Washington after trailing by 13 midway in the third quarter. Both Christian Ponder and Matt Cassel, after Ponder dislocated his non-throwing shoulder, were effective as was Adrian Peterson. But it is a question of whether Ponder will be able to play this Sunday and even so, it will not make a difference against the best team in the conference. It seemed inconceivable just a few weeks ago but now the Giants are in striking distance for the playoffs as they have won three in a row and are two back in the NFC East. It certainly was not pretty against the Raiders but they did just enough to get the job done. And now they face a Packers club with Scott Tolzien primed to make the first start of his career after filling in relief of Seneca Wallace in the loss to Philadelphia. He looked good but he did also threw two bad picks. Give me New York. We have seen a flaw with the 49ers in that they have struggled to move the football through the air, ranking 32nd in the league in passing yardage. Yes they run the ball extremely well but we saw in their loss to the Panthers on Sunday that when they are struggling to move the ball through the air when the running game is inconsistent, their offense stagnates. And even with how strong their defense is, their struggles in the air could really hinder them in the Big Easy, especially with a Saints club that put up an insane 40 first downs on Sunday night and has won 13 straight at home. This game took an interesting path to primetime. It had been protected by CBS at 4:05 but due to the fact that a singleheader game at that time has limits on its distribution, it was moved by the NFL. Now I do think the Chiefs are going to have some trouble in this week. Peyton Manning is going to get his numbers, we all know that. But to this point, the Chiefs have not put much pressure on Alex Smith, relying instead on Jamaal Charles to carry the load. They will have to open up the passing game and I don't have the confidence that they can do it. It is time to face it if you have yet to do so: the Panthers are for real. It was easy to dismiss their four straight victories because they came against weaker opponents. But to go into San Francisco and win a grinder over the 49ers was very impressive and showed that this club could win games when the offense is not firing on all cylinders. For the Patriots, the offense finally came alive in a demolition at the hands of the Steelers before their bye week. But can they go into Charlotte and move the ball that well against a front seven as stout as Carolina's? I'm still not that sold just yet.